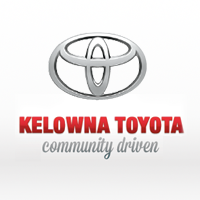 Automotive Careers in Kelowna, B.C. As an employer we provide a very competitive pay plan with benefit package, product knowledge and process training as well as a great work place atmosphere. In addition to that the Toyota brand has an outstanding reputation in the automotive industry! This is a great opportunity for a successful individual to build a career that is based on relationship in a community oriented company! If you think you have what it takes and are interested in a career in the automotive industry please submit your resume and cover letter through fax, email, or call us at 250-491-2475 for more information.